Grab the latest issue of KLIK Magazine! Look! 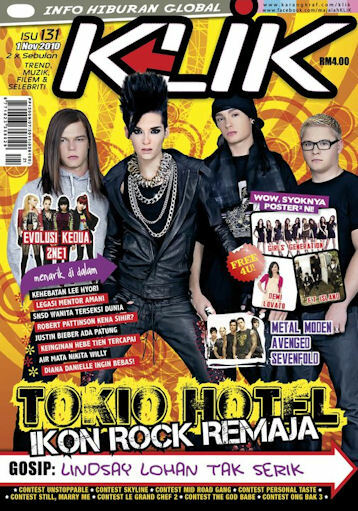 Who's on the cover of 1-15 november 2010 issue of KLIK? It's none other than our 4 hot and good looking boys, Tokio Hotel! What are you waiting for? Go grab it in your nearest bookstore NOW!